Khushab is a district of Punjab. Khushab is located in between Sargodha and Mianwali near Jhelum River. Khushab has many important projects of PAEC. Johar Abad is districts headquarter. Some of the area of Khushab is the part of Thal desert. Before independence, Khushab was a tehsil of Shahpur district. Name of Khushab is given by Sher Shah Suri. Khushab means pure water. 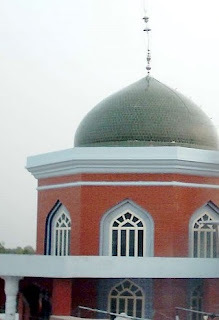 Ø Nearby Important and Famous Cities are Sargodha, Mianwali, Bhakher, Jhelum and Jhang. Ø Mithtawana, Nowshera, Hadali, Gunjiyal are also famous towns of Khushab. Ø Malik, Awan, Tiwana, Baloch are famous tribes of Khushab. Malik Ghulam Muhammad Tiwana is the District Nazim (Mayor), Malik Atta Ullah is the Naib Nazim, Raja Khuram Shehzad Umar is District Coordination Officer and Abu Bakar Khuda Bakhash PSP is the DPO of Khushab district. Khushab is the only district of Punjab which have all type of geography i.e. mountains, valleys, lakes, deserts, fertile lands and rivers. Dhoda and Pateesa (types of sweets) are very famous sweets of Khushab. There are lots of Dhoda shops of Anwar Dhoda House and Amin Dhoda House among many others. Tanzeem Al Awan and Young Baloch Federation are two well known organizations of Khushab.